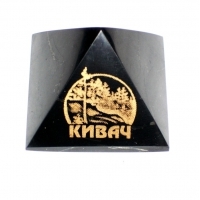 The shungite pyramid is an excellent remedy against the electromagnetic radiation and the geopathic electrical phenomena. 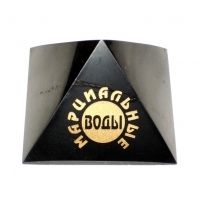 The pyramid helps cleanse, mineralization and water purification.The pyramid's radius of action - 2,8 meters.The facet length of foundation - 5 cm.The weight of pyramid - 85 gr. Pyramid "The Eye of Horus"